When Amazon sold its first online book, no one thought we would end up where we are in just a little over 20 years. There are not as many people as there once were who claimed that the internet could not be trusted and, as a result, little by little, online shopping has become more sophisticated and ever-expanding and in doing so it has even convinced the most skeptical. The reality is that today few people can say that they have never bought anything online, that they only buy at stores, book flights at physical travel agencies and purchase tickets at the box office. Nowadays, if you are not on Social Media then you don’t exist. Keep in mind that the potential audience for online shopping spends a lot of time on social media and that’s where you can find them. It is important to be out there, but not just in any which way. Don’t try to do too much if you don’t have the right resources, choose the right network to reach the audience that interests you and spend the time. Make updates on a regular basis, create polished content and always ensures quality, as this will be your storefront to the world. You don’t need to be an expert in Digital Marketing, but having some idea and keeping up-to-date can make a difference. Research and learn as much as you can, there is a lot of information in the Internet to learn on your own and there are also specialized courses. Although Internet is available to everyone and can help promote a brand with little cost involved, however, some people still wrongly believe that communicating over the Internet is free. You may have to promote publications (especially at the beginning), hire specialists or create paid online marketing campaigns. Allocate an amount to this item on the budget. Provide quality content in addition to the online store. The big eCommerce brands contribute something that is more than just buying a product. Create a blog, upload articles or videos, send newsletters… make it more than just a store, this will help you with your brand image. The biggest barrier to online shopping is the feeling of insecurity. Although buying online is, in many cases, safer than paying by credit card at a store, buyers do not perceive it this way and the biggest drawback to the more skeptical eCommerce customers is fear and the lack of security. Make sure that making purchases on your online store is always as safe as possible, but keep in mind that besides being secure, it also has to look like it actually is. When purchasing from either a physical store or an online store, the shopping experience does not disappear. In the same way that we try to make a customer feel comfortable and make purchasing easy in our physical stores, we have to make sure that this also happens with our online store. Make buying an easy and intuitive experience, try to make the navigation smooth as possible and customer service pleasant and efficient. Keep in mind that more than half of purchases (58.9% in 2017) are made from smartphones (mCommerce), so make sure your website is responsive. Buyers trust other buyers more than they trust the seller. The higher the product rating has then the more convincing it is than any description you could include. Today, consumers have more information than ever when it comes to making a decision and if you do not have the option for them to read the opinions of other buyers on your website, then they will go to other websites, so let them post their opinions. Apart from the website, you need a good logistics plan to ship your products in case you have to send them. Keep in mind your own capabilities and resources and do not open the store until you have everything properly organized. 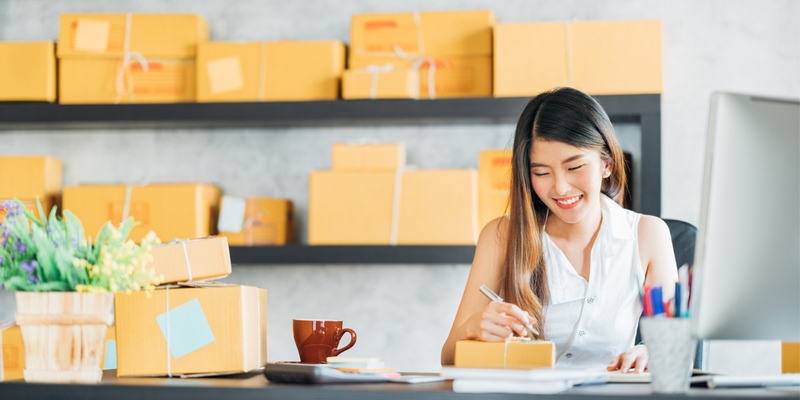 You do not have to be at the same level as the largest companies who ship their products in a few hours, however, delivery times are one of the main reasons why customers choose a specific website and you should stick to them. The Internet is global and when you open an online store you expose yourself to the whole world. You will encounter all sorts of situations, but it is always advisable to offer the option of browsing the website in the language of a potential customer. Analyze your potential market thoroughly and give the option of visiting your website in their language and culture. Keep in mind that a low quality translation is not enough, hire quality translation and localization services that express the strongest aspects of your brand and remember that a poor linguistic service can ruin the entire image of your website.